For a speedy and streamlined process we prefer multiple page Press Ready PDF files. We do accept the following file formats as well: PDF, TIFF, TIF and EPS. If you do have another file format you would like to supply us, please contact us to ensure we are able to use it or if there may be a way we can help you through to creating a multiple page Press Ready PDF instead out of your chosen software. We highly recommend designing and creating your artwork from such programs as Adobe InDesign or Illustrator as they will provide the best output for print. Using vector based software will result in clearer, cleaner and a more crisp print quality compared to such pixel based software as Adobe Photoshop. If you do design in Photoshop please make sure your file size is 300dpi. If you have any further questions please give us a call on 03 5338 2772. These four inks are combined in varying percentages to create a broader spectrum of colour and is industry standard in both Digital and Offset printing. Ensure when setting up your artwork that you have created your print material in a CMYK colour space and not RGB. Bleed is a term used to describe an overflow of artwork beyond the artwork size (or trim size). This bleed will be later trimmed off for a flush finish. 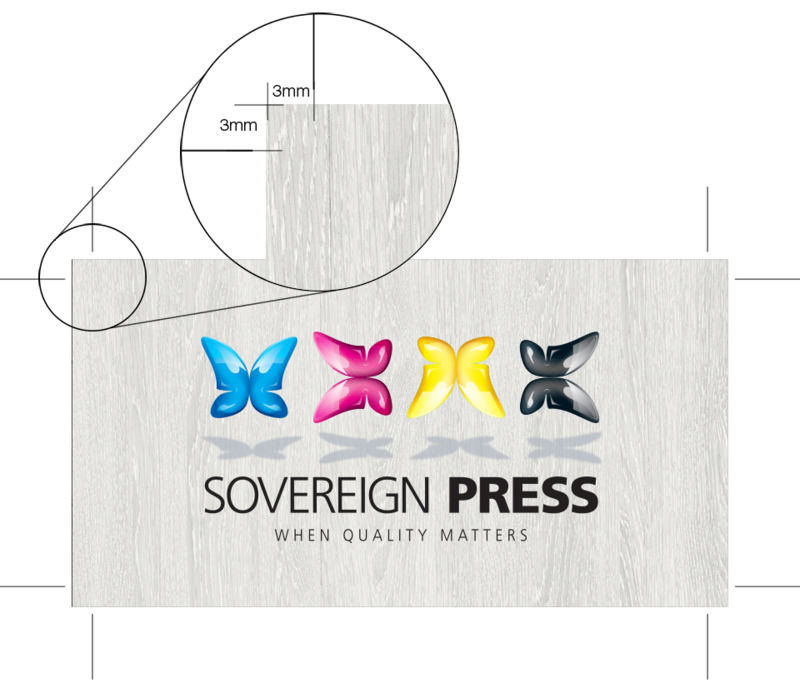 We ask for artwork and designs to be supplied with bleed of a minimum of 3mm. The attached images shows how the trim marks and bleed should look like on your file.